As anyone that reads this site regularly will know, we love Batman here at Geektown. Personally I’ve had an ever expanding collection of Batman trades, comics and graphic novels since the early 90s, so I’m pretty well versed in the Batman and DC universe. When I heard they were planning a show based on Gotham, but pre-batman, I did wonder if the guys at Fox could pull it off. Thankfully they have, and in spectacular fashion. Bullock is desperate to hand the case off to special branch cops Montoya (Victoria Cartagena) and Allen (Andrew Stewart-Jones), but Gordon insists they follow it up. This leads to a meeting with Fish Mooney (Jada Pinkett Smith), a mob boss working under Gotham’s main crime lord Carmine Falcone. It’s also the first time we meet Robin Lord Taylor’s wonderfully slimy Oswald Cobblepot (nicknamed ‘Penguin’ by the rest of Fish’s crew), who’s working as a henchman for Fish. Taylor plays Cobblepot with a great mix of toadying deference to his boss, whilst ,behind his eyes, you can tell there are cogs turning about how to step over her, and climb the criminal ladder. When Gordon goes to Wayne Manor, we get our first proper meeting with Bruce’s faithful butler Alfred Pennyworth (Sean Pertwee). This version is less the worry wart, upper-class Alfred of the comics, and seems to be rather more down to earth, not afraid to put Bruce in his place when he needs it. His line when he sees young ‘Master Bruce’ standing on the edge of the manor roof is just brilliant, and I’m really looking forward to seeing how his character and relationship with the young Bruce develops. There are changes from the comics, but I think that was to be expected. It’s not like the origin’s of Gotham’s villains (or heroes) is set in stone, as there have been multiple retelling of their origins over the years. Much as I love Frank Miller’s Batman Year One, I also loved Nolan’s take on the origin story, and Scott Snyder’s latest take in the more recent Zero Year Batman comics. In a multi-verse of possibilities, there’s room out there for every variation. Bruno Heller (creator of Gotham, as well as HBO’s superb ‘Rome’, and the much loved ‘The Mentalist’) has done a great job weaving the characters into a solid, engaging story, that leaves you wanting to see where it goes next. 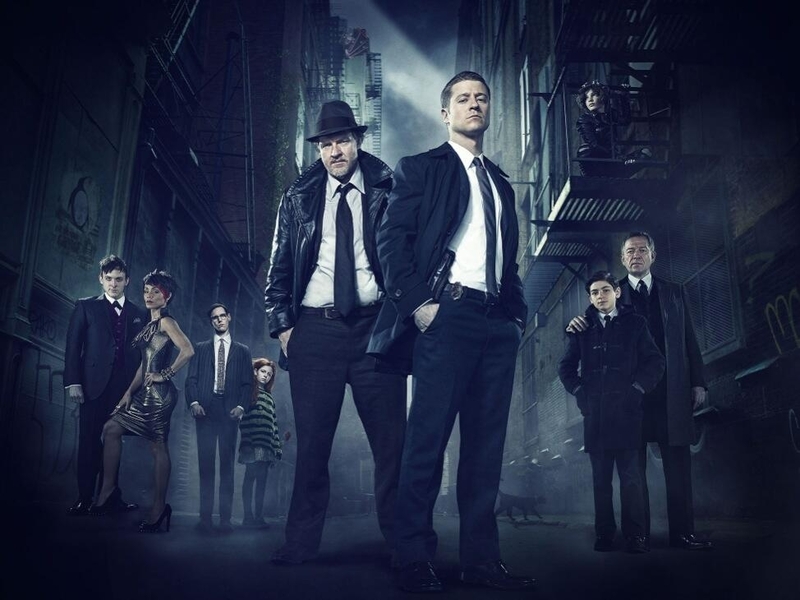 Gotham will air on Channel 5 – 13th October at 9pm, and I urge you to tune in. If you love Batman, cop shows, or just well written drama, you will love it. 9/10 – Great, entertaining start, that leaves you wanting more.